The first blooms of lilac are opening in gardens. Their amazing fragrance makes it impossible to walk by without stopping for a deep sniff. Their colours range from pure white to the deepest purples. They are a garden staple across most of North America. We may think of their flowers as very delicate; the plants themselves are among the hardiest. Some newer hybrid varieties can survive winter temperatures as low as -50C. 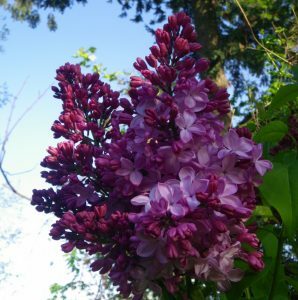 Some fun facts: lilacs are considered a harbinger of spring, with the time of their bloom signaling whether spring will be early or late. We don’t even want to think about how cold and wet our winter was. This garden icon has changed over the years as plant breeders have developed new varieties. 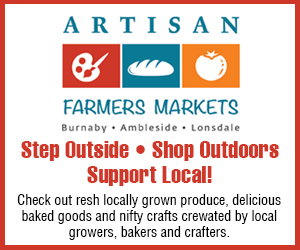 If you haven’t shopped for lilacs for a few years you may want to stop by a BC Farm Fresh garden centre soon to check them out. The new varieties offer choices in small, compact varieties that can be grown on balconies or pots. Instead of the usual three to four metres that is common to the old varieties, these new ones are between one and one and a half metres high. Others such as Boomerang bloom both in spring and then again in late summer. New colours have been developed; pinks, creamy yellows, and bi-colours. Some varieties have small, more delicate flowers, while others are large, double flowering. And then their perfume!